Do you know at least 10 people who share your love of fun and adventure? 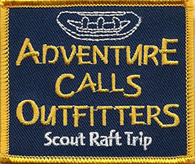 Why not organize your co-workers, friends, or schoolmates and bring them on an Adventure Calls outing? Bring a group of at least 10 and get a free waterproof camera to remember the day with. Bring 15 or more and get the camera plus you go for free! Call us and ask for a Group Leader Packet. It will make your job a much easier. Better yet, download the one provided below! Click here to download a Group Leader Packet (PDF). Arrangements can be made to paddle with us on non-scheduled days. A minimum party of 8 and advanced reservations with a deposit is required. Call or email us for more information. 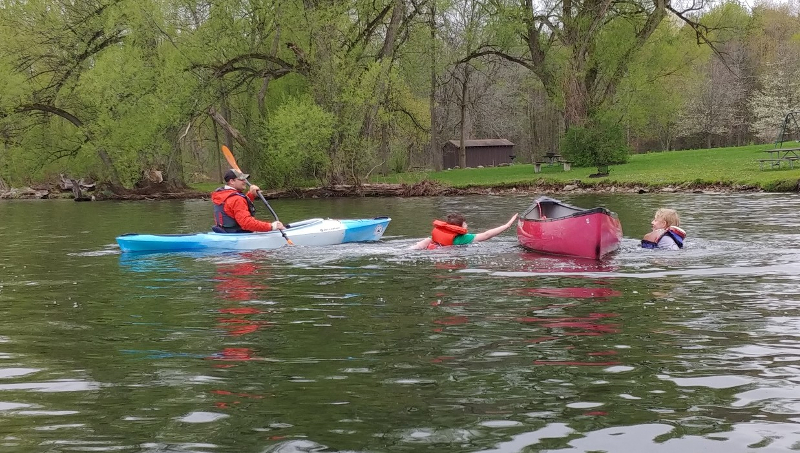 We are honored to share each of our rivers with numerous Boy & Girl Scout Troops every year. A commemorative patch is available for purchase ($3.00) to remember the outing. 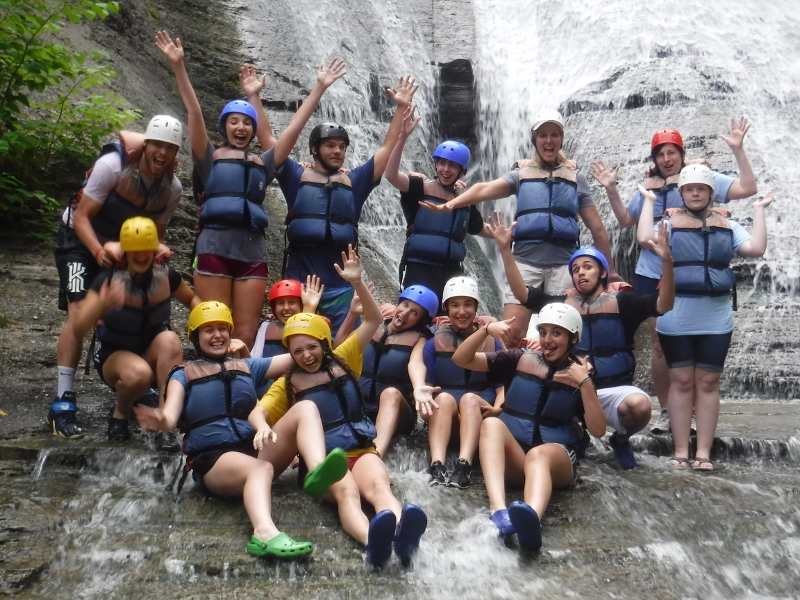 In August of 2017 the National BSA Council added the Whitewater Rafting Award to the Aquatics Awards offerings. Any troops that raft with us are eligible to receive this award by downloading the application, filling it out, and providing it on the day of your trip with us. Additionally, several members of our staff are BSA accredited Merit Badge Counselors. Information pertaining to our Canoeing & White Water Merit Badge courses can be found by downloading this handout.